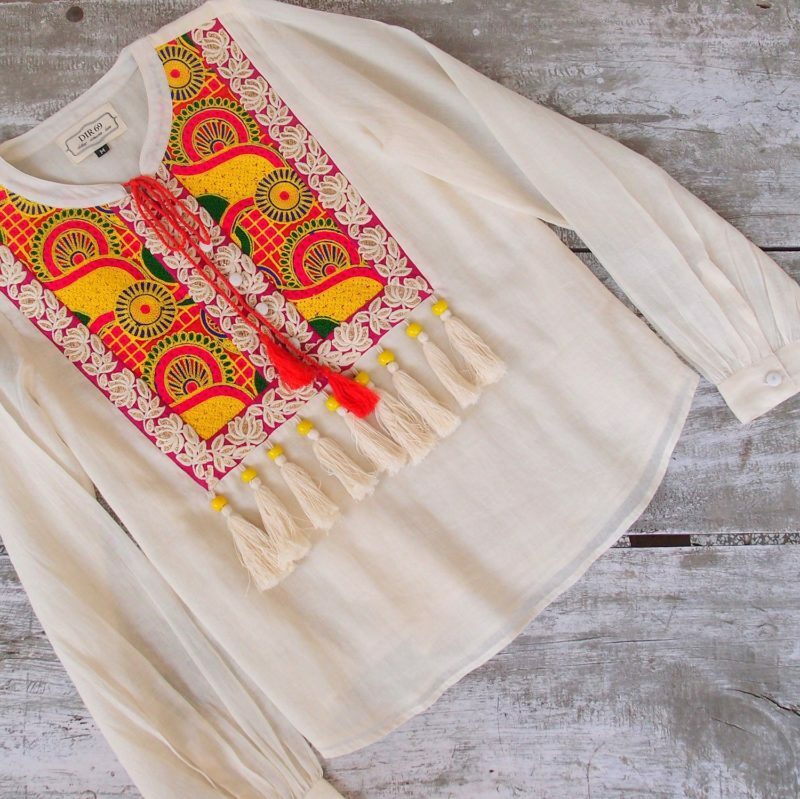 Boho chic meets comfort in this beautiful tasseled blouse! 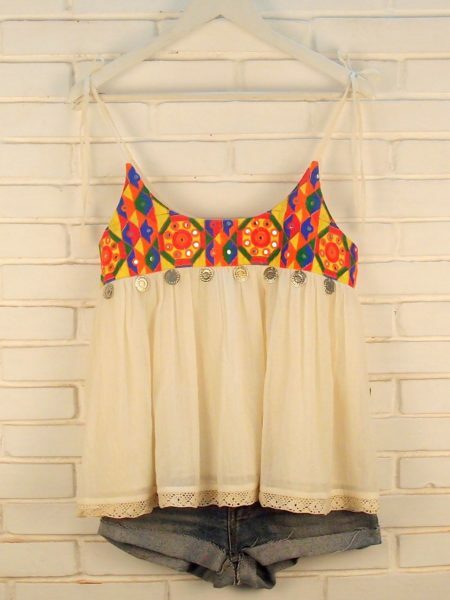 This gorgeous top is made in fine quality cotton fabric which has a soft drape. 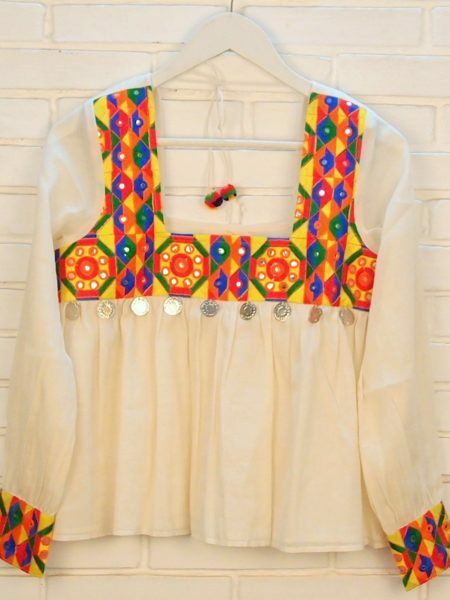 There is a stunning folk embroidery big yoke in front in cheerful colors and lotus motifs. 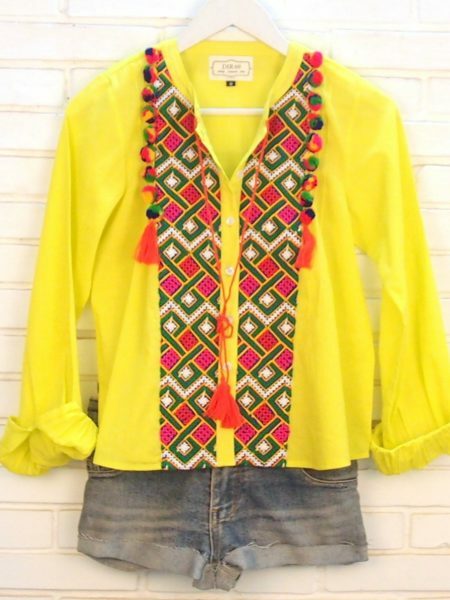 The bottom of the yoke has been highlighted with big cotton thread tassels and yellow glass beads. 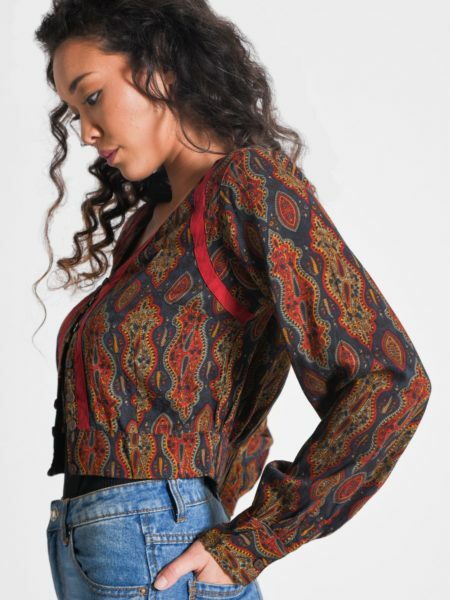 The full sleeves, that work well as rolled up sleeves also, have slim cuffs and a fabric button closure. 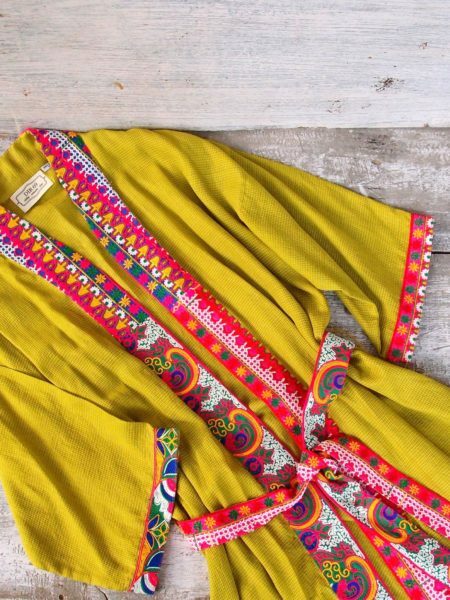 The front has fabric buttons and a draw string closure. 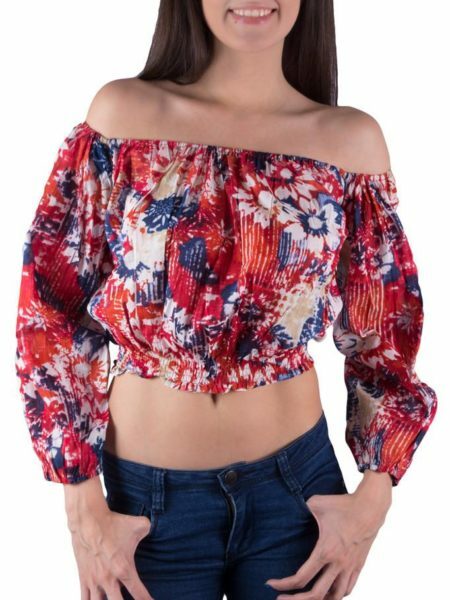 This is such a great and comfortable piece to wear with flared jeans or shorts!